Morgan Stanley thinks music streaming subscriptions are the real deal, and it’s predicting steady growth for the music industry on the backs of companies like Spotify and Apple Music. 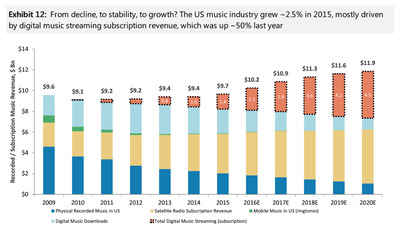 “We estimate that industrywide subscription streaming spending grew nearly 50% in 2015 in the US, and has climbed to ~15% of industry recorded music revenue,” Morgan Stanley analysts Benjamin Swinburne and Ryan Fiftal wrote in a note on Monday. And this growth will be the saviour of the music industry, according to the analysts. 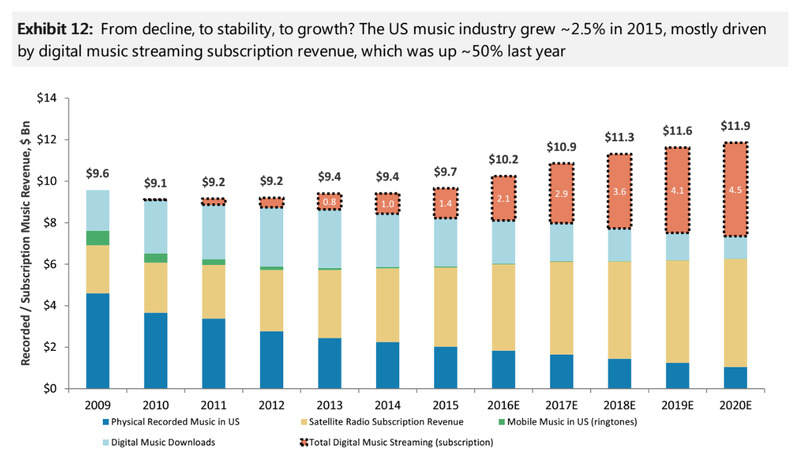 “We think that after years of stalled growth, the music industry has found its growth strategy — subscription on-demand,” the analysts say. This outlook is buoyed by the fact that new launches, such as Apple Music and Tidal, have driven more consumer adoption instead of cannibalization of existing services, according to the analysts. That gives the analysts hope for the coming launch of Pandora’s on-demand service, which they are very optimistic about. 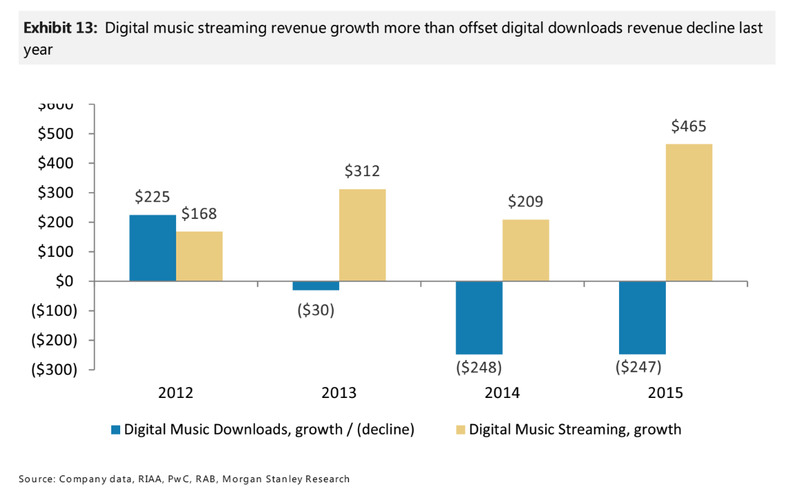 Another point the analysts make is that the growth of streaming music revenue far outstripped losses from digital downloads, which many industry analysts believe are on their way to total extinction.